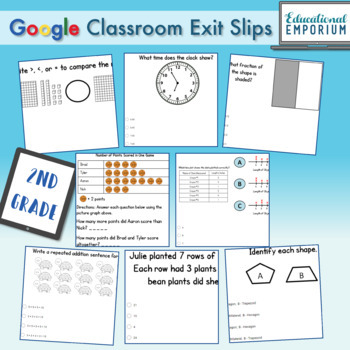 This 2nd grade math Google Classroom bundle contains all the digital exit slips, task cards, worksheets, quizzes, and tests you'll need to incorporate digital instruction and assessment in the classroom and completely cover all second-grade math standards. 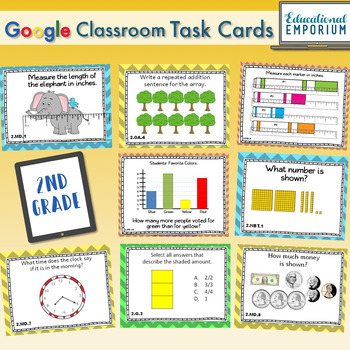 Designed to make the classroom efficient and interactive, these resources are presented as Google Slides and Google Forms, eliminating paper and planning. These resources are perfect for laptops, iPads, Chromebooks, and tablets of all brands and operating systems! 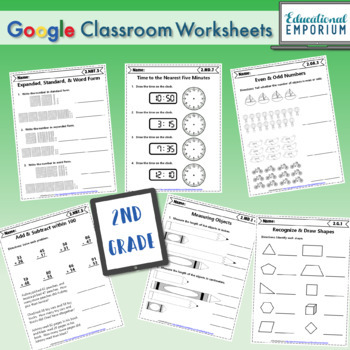 Get the printable resources as well as the digital content when you buy this in the 2nd Grade Digital + Paper Ultimate Math Curriculum Bundle! 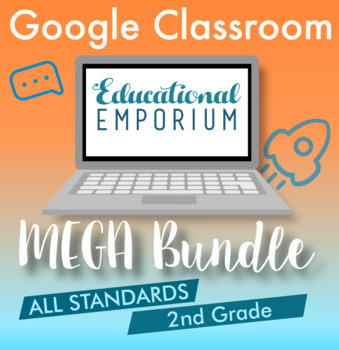 Save bundles of time and money when you buy this in my Google Classroom ULTIMATE Math Bundle, Grades 2-6!